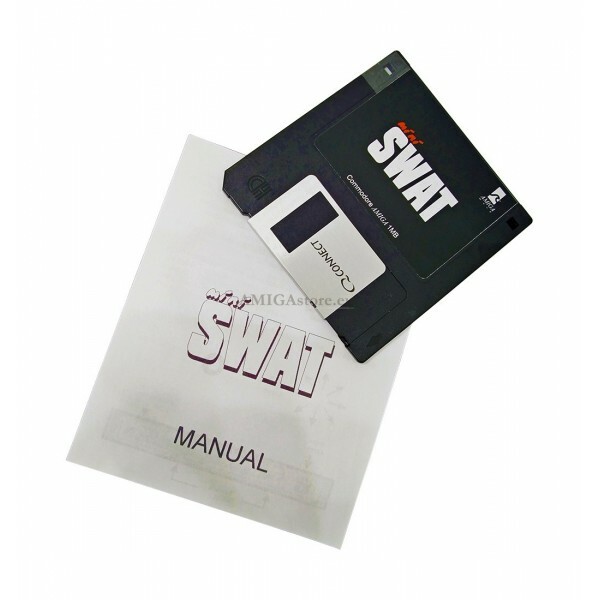 For any Amiga computer with 1MB of RAM. 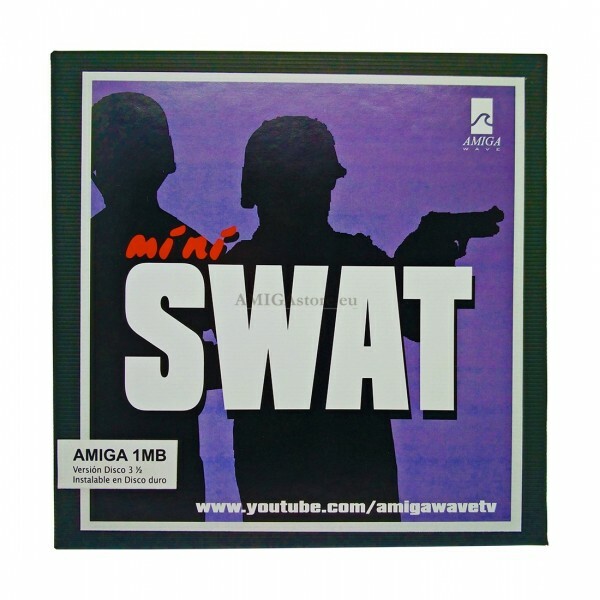 miniSWAT is one of the latest Amiga Wave productions for the Amiga platform. 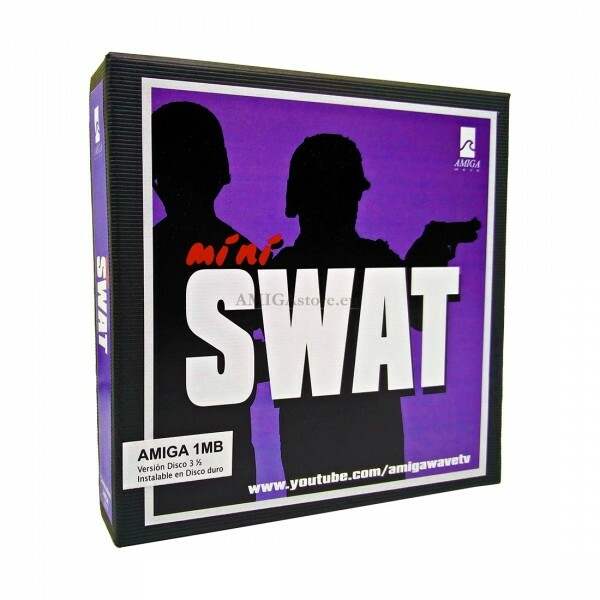 miniSWAT is one of the latest productions of Amiga Wave for Amiga platform. 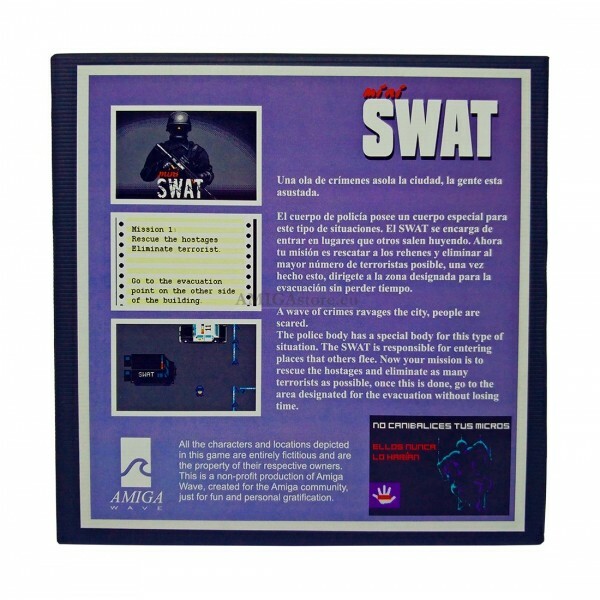 Throughout the game there are 5 phases in which you will have to save the hostages and eliminate the terrorists. 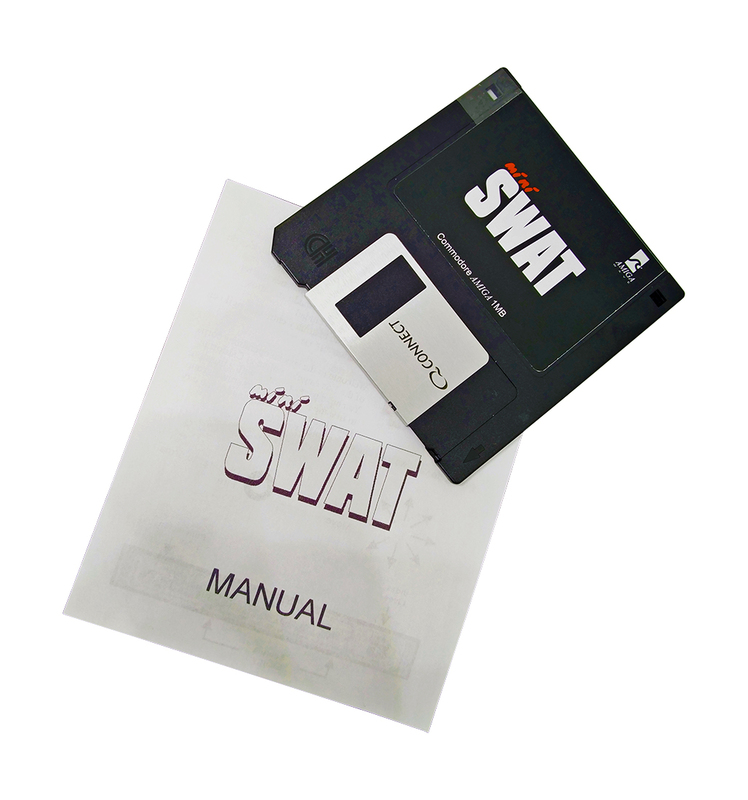 The game is recorded on a 3½" floppy disk with a small script with the description of the characters and different elements that interact with you. It's presented in a black collector's box, compact and with a high quality, with a great artistic development of the front and back, with very careful aesthetics. 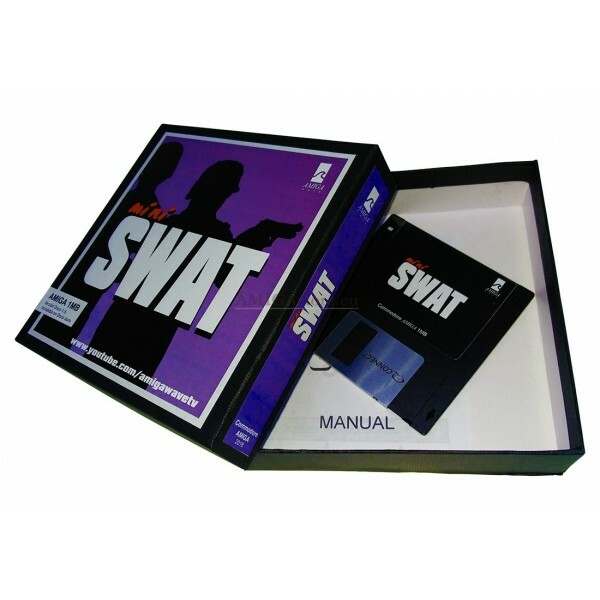 It works on any Amiga computer with at least 1MB of RAM. It runs directly from the diskette, and it is installable on hard disk. Simultaneous music in the game. 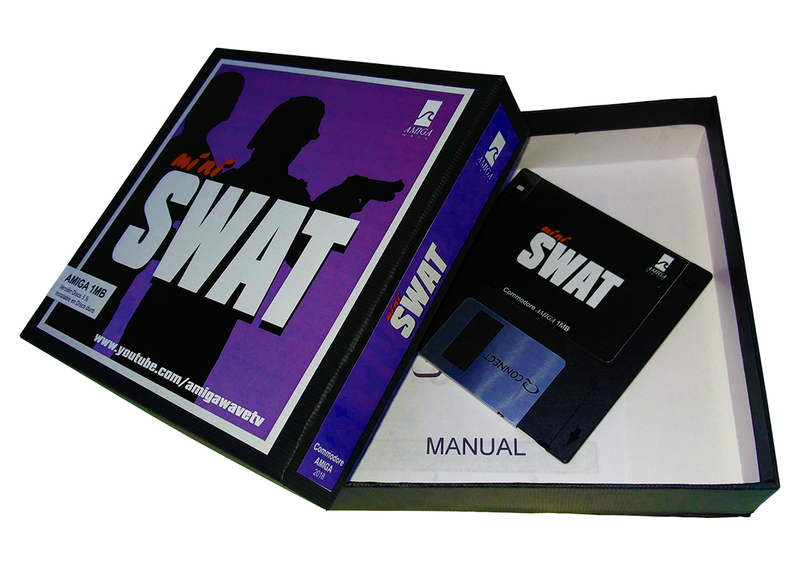 All in a single 3.5 "floppy disk in a deluxe 90's style case. 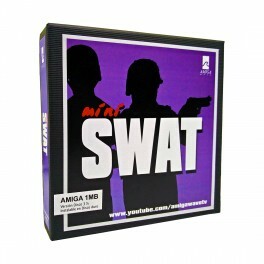 Compatible with all Amiga computers. Instruction manual in Spanish included.